According to the New Brazilian Aeronautical Code, airlines are required to provide its customers with phone cards in case of delays or flight cancellations. The calling cards should be tailored to the specifications of each carrier. This includes the value of the calling card, the minutes of connection for each destination with the graphic design company logo, eeping multilingual automatic speech, etc.. However, traditional telecom companies do not offer such a personalized service. BlasterPhone Tim and his partner / Intelig have the solution to this problem. Using the platform's high-tech BlasterPhone, you can create custom phone cards that meet the specific needs of each airline. Telephone cards can be configured by value, duration of connection, multilingual support, expiration date, and free access numbers 0800 and 4003 nationally. 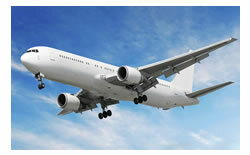 The calling cards are digitally delivered in the form of PIN Numbers, allowing each airline to decide design. 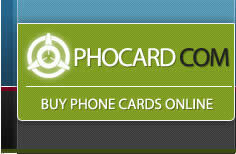 Unlike traditional calling cards, the card is not BlasterPhone inductive. It can be used from a pay phone (pay phone) or from any landline (hotel room, residence) or mobile, offering greater flexibility of use compared to traditional phone card. One of the first airlines to use the solution of customizable calling cards BlasterPhone was American Airlines Brazil, an example of law enforcement and accountability with your customers. The calling cards delivered free of charge in cases of flights canceled or delayed, ensure the trust and loyalty of its customers and establish a positive image for the company. What is a Bluetooth Headset for Mobile Phone?